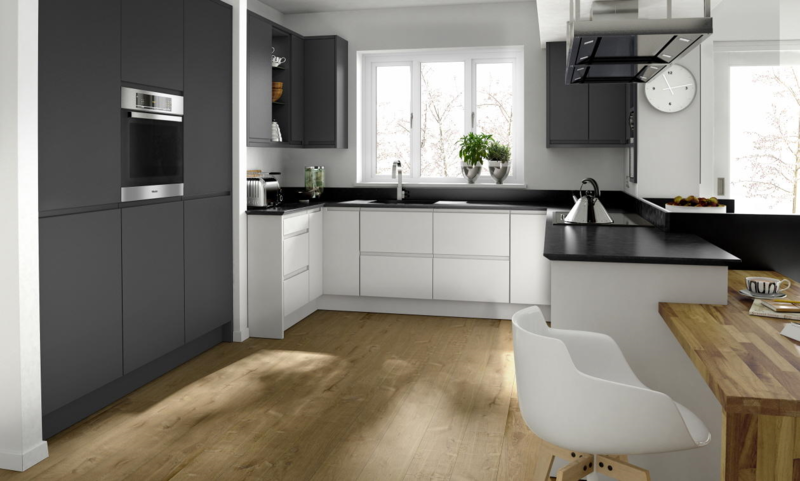 The Remo Graphite MATT and Porcelain MATT kitchen design comes complete with a range of featured textures and different finishes for you to choose from. Each finish will accentuate any particular area of your kitchen space. The amount of storage options available to you also makes this design one of the most versatile choices available on the market. Remo can now be painted to order from a range of colours – saffron to spearmint – Gloss and MATT finishes. Call into our showroom for more information.